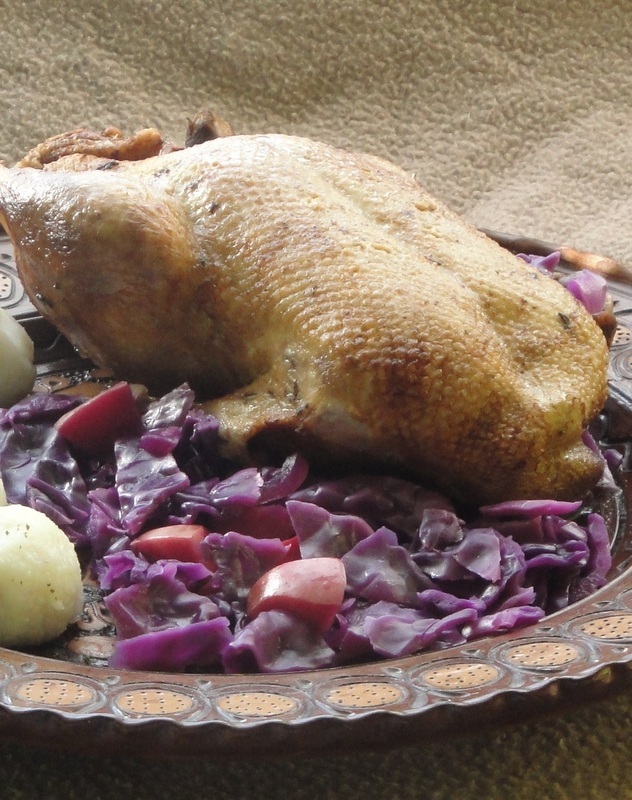 In Germany, Duck and Geese are the desired birds for the holidays, over Turkey. 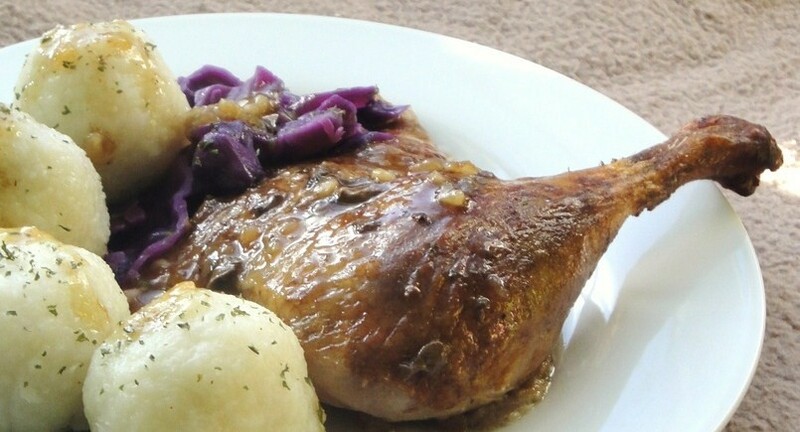 Traditionally served with delicious potato dumplings and braised red cabbage. 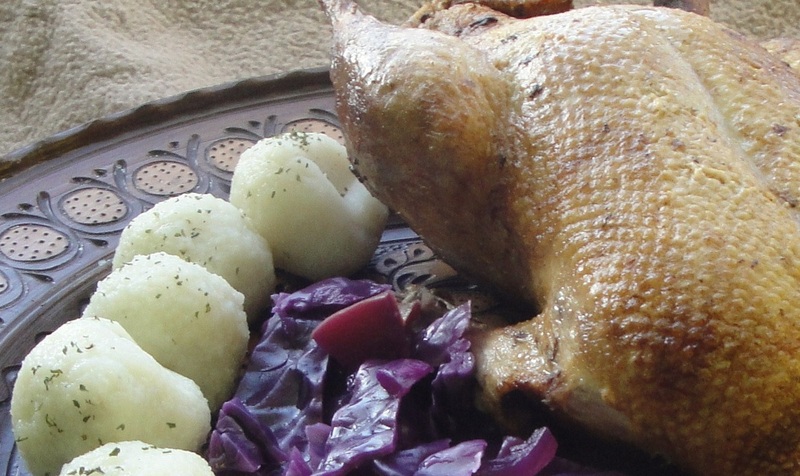 In fact, Christmas dinner in Denmark, Austria, and even the Czech Republic features duck or geese as the preferred birds. 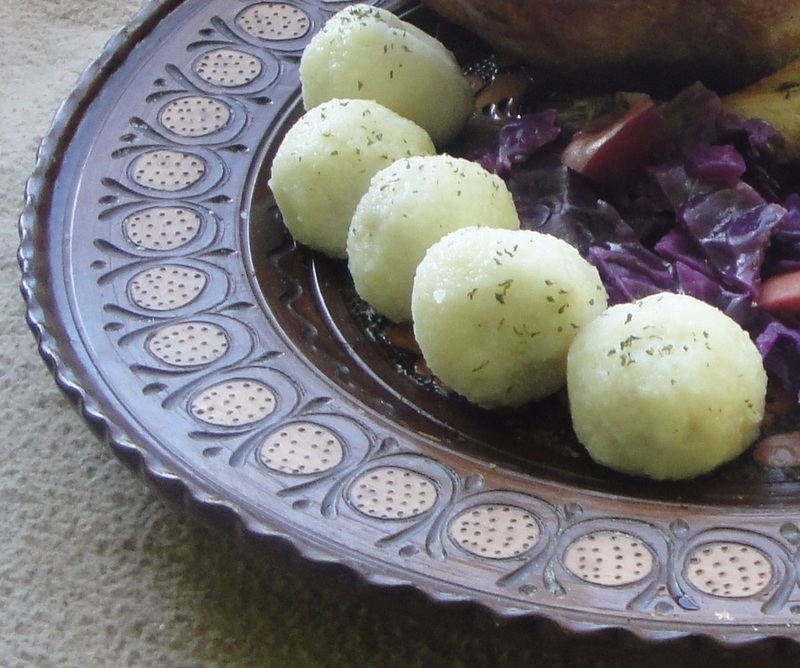 Braised red cabbage and potato dumplings are perfect side dishes. There are various ways of making these dumplings, and hundreds of varieties. 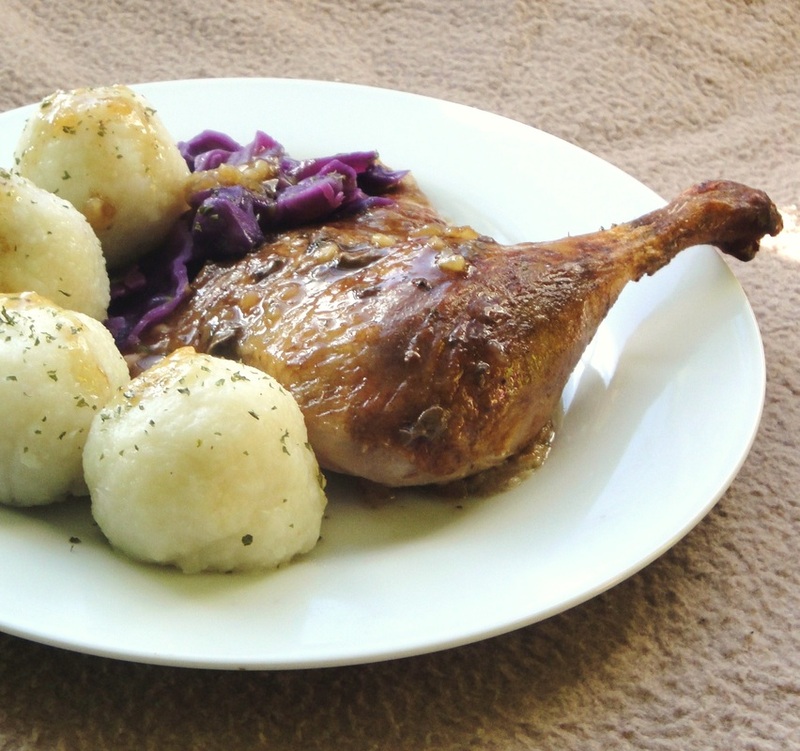 In fact, these dumplings are popular all over Western-Central and Eastern Europe. 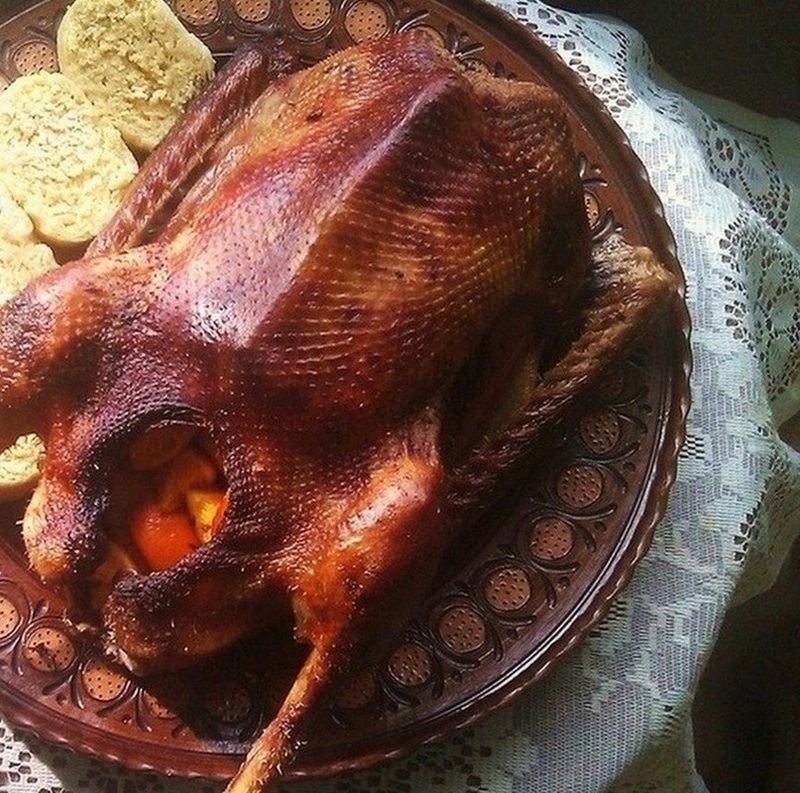 This is my favourite Christmas dinner. In fact it's one of my favourite meals, and I can't think of any other meal I'd rather have over the holidays. My Turkey days are well and truly over. For many years I was a fan of Turkey, but I've simply become sick and tired of it. 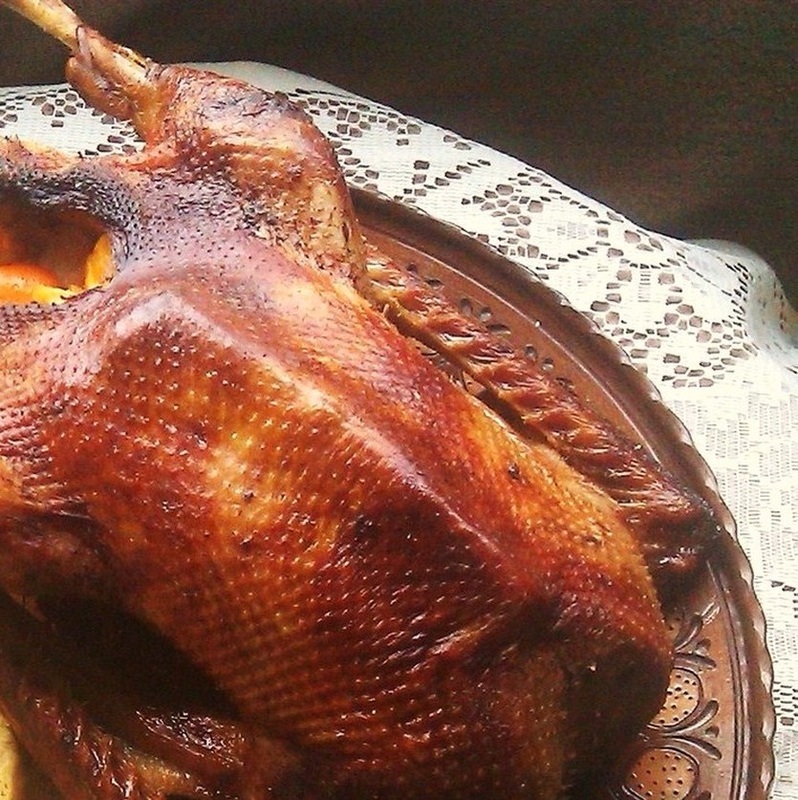 I never get tired of goose or duck. They are so darn flavourful. 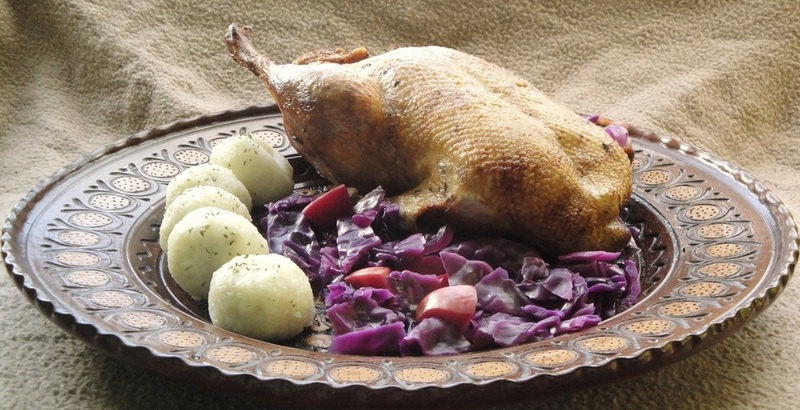 To me Duck and Goose are the superior birds, and from now on this will be my dream Holiday Meal. No more Turkey for me. 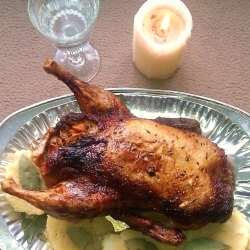 You can use my recipe for Turkey, it works really well with any bird. 1. 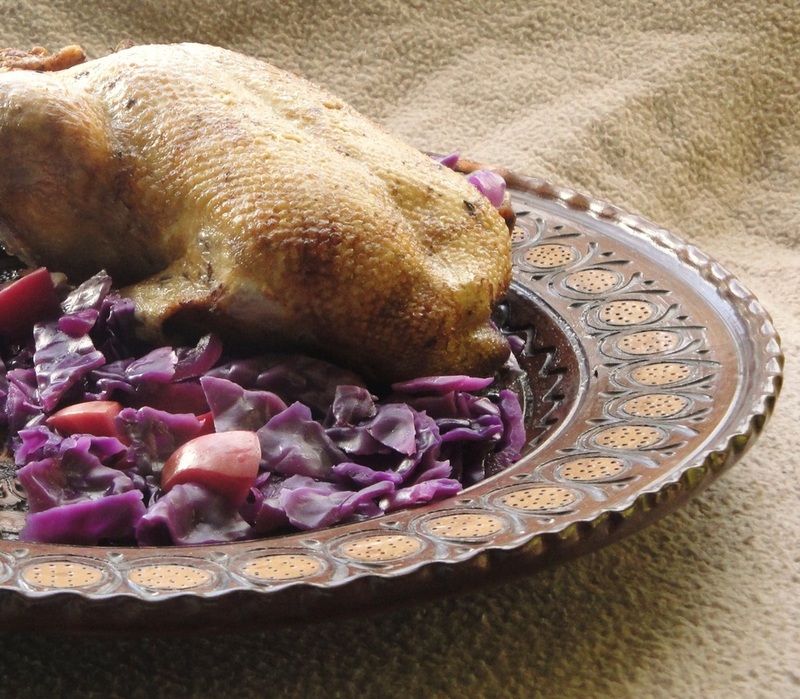 Remove everything from the cavity, wash the duck, and pat dry. 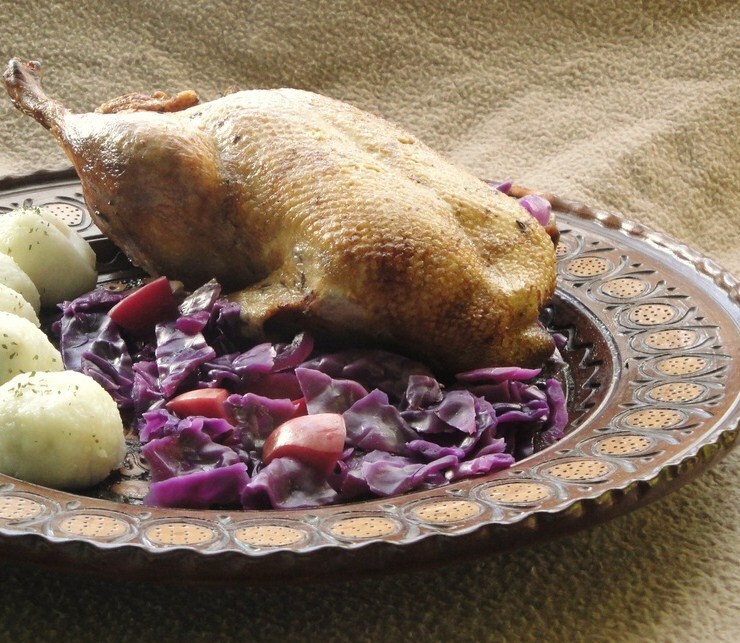 You will need 1 tbs of salt for the entire duck. 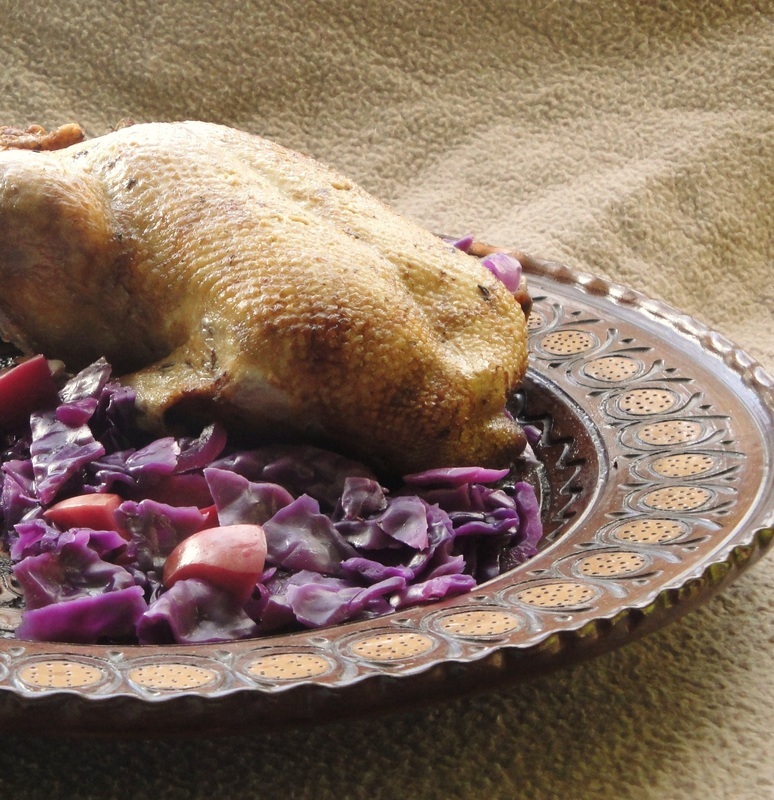 Sprinkle some of the salt inside the duck before adding the ingredients into the cavity. 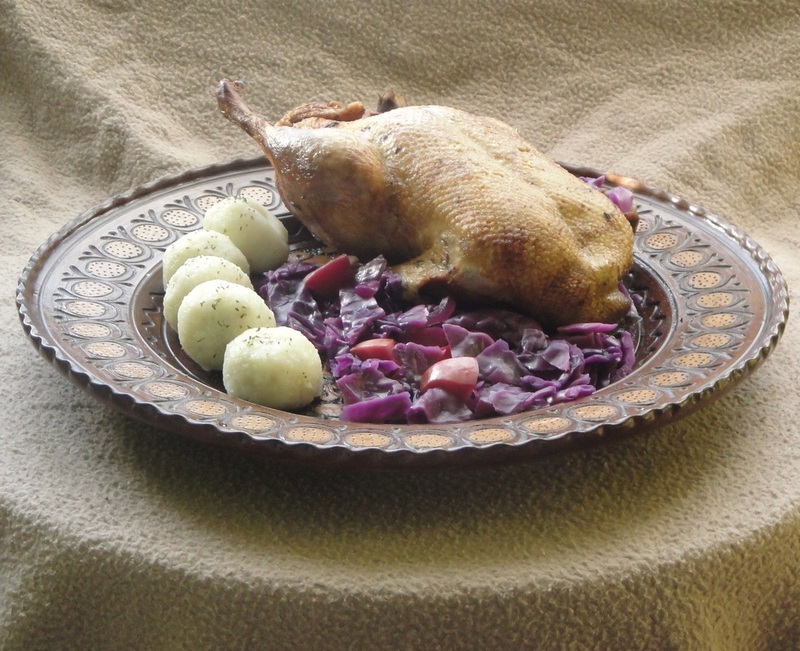 Stuff the duck with 1 whole onion peeled and 1 garlic bulb-both sliced down centre. Then half an orange cut into chunks, 1 apple quartered, 3 tbs of light Soy Sauce, 1 plus a half tsp of caraway seeds, and 1 tbs of juniper berries. Don't worry if some of the ingredients spill out it will make part of the gravy. 2. 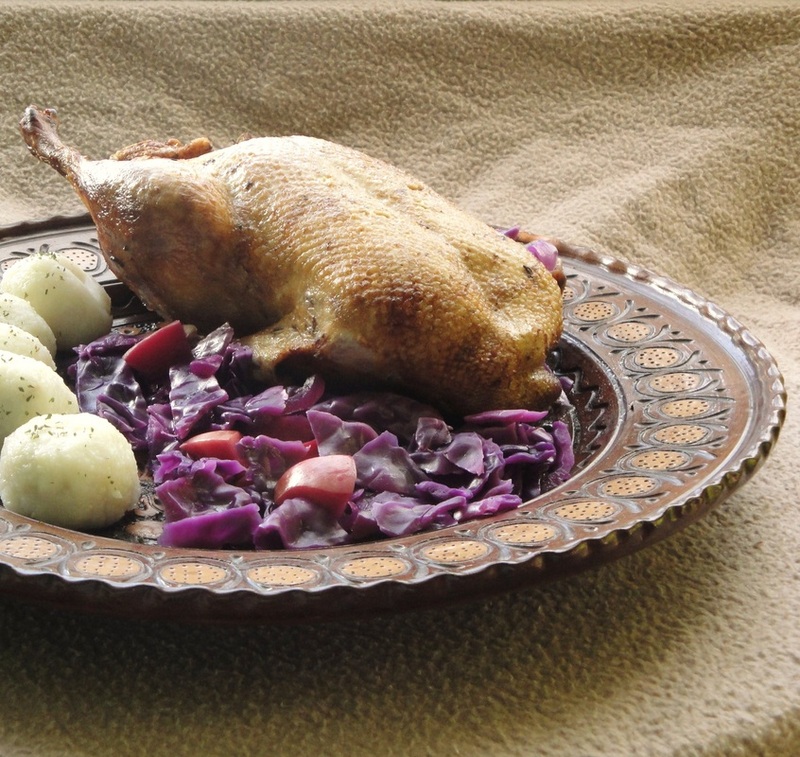 Then sprinkle some of the salt evenly at the bottom side of the duck, rest for 5 minutes before turning duck skin side up. Sprinkle the remainder of salt evenly on the top. 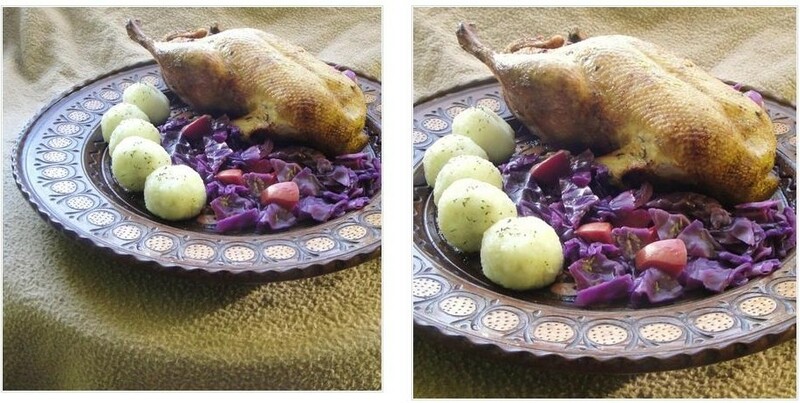 My method is to place the duck in a baking try, slice up an onion and lay it around the bird, then I pour a little water (just over a 1/4 cup, but less than 1/2 half a cup) in the pan and place it in the oven. I roast for about 1 hour and 40 mins in total. My current oven setting is 190c but every oven is different, please work out your own appropriate setting. 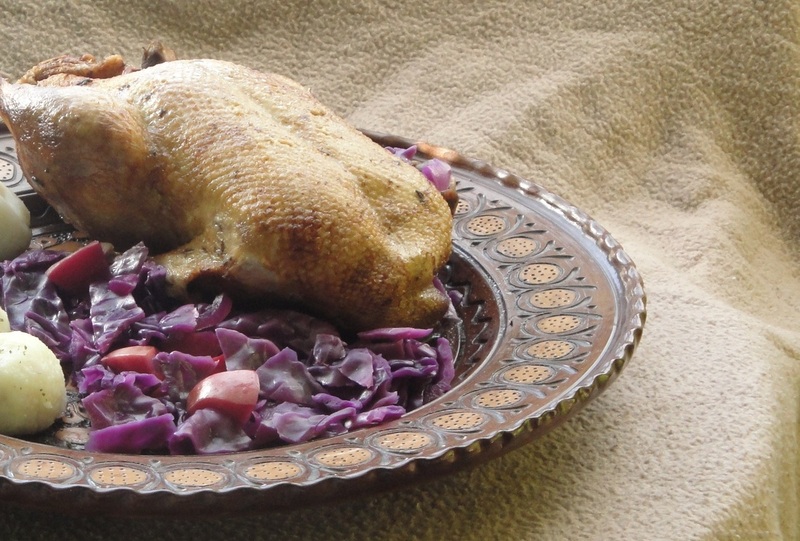 I roast for 40 minutes skin side up, then turn over for another 30 minutes, then the remainder of time is roasted skin side up to get a nice brown duck, I baste when necessary; basically each time I turn it. SEE BASIC GRAVY RECIPE. 1. For The Dumplings WATCH THIS VIDEO OR purchase this packet of MEAT DUMPLINGS OR PLAIN DUMPLINGS online, OR FROM YOUR LOCAL CENTRAL OR EASTERN EUROPEAN DELI. FOLLOW INSTRUCTIONS ON THE PACKET. I think the video is the best recipe I've seen online. 2. Peel off the outer layer of the cabbage and then chop it up with a knife. Chop half a yellow onion. Then turn stove on medium high and heat 3 tbs of oil in a pan. Then add the chopped onions and saute for about three minutes. Then add the cabbage and saute with the onions for two minutes. Then pour a cup and a half of water in the pan, and bring to a boil for ten minutes, by turning stove to high heat. Then turn down on low and add 1 chopped apple, 2 tsp of vinegar, and 1 tsp of salt. Simmer for an hour. Or simply buy the Hengstenberg brand, it's wonderful.